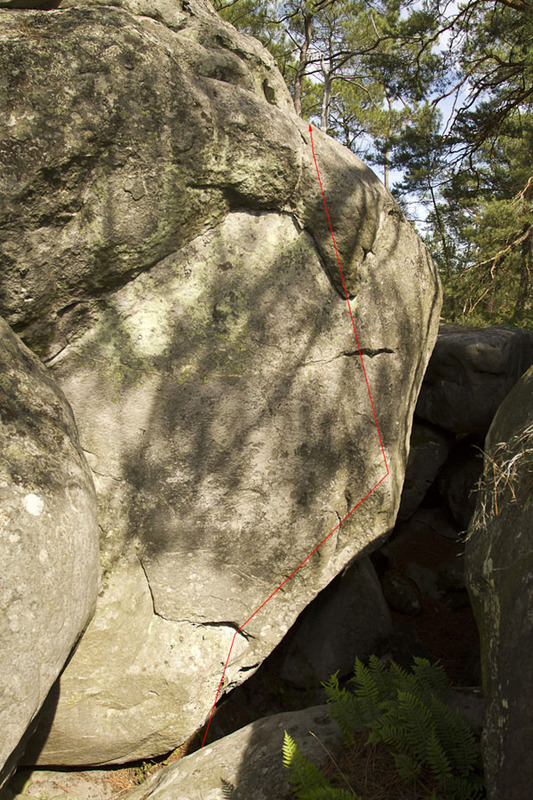 In a pit behind the bivouac, 20m to the East of the floating boulder of Poignée d'Amour. Standing start, climb the overhanging arete and exit with an evident undercling. Update (July 2012) : the big undercling has partially broken off.